Joanne Millar, an award winning nail technician, educator and mother of two developed a uniquely distinctive creative style at an early age. Though she enjoyed working as an administrative professional, Joanne wanted an outlet for her creativity. She had always loved doing her own nails and in 1999 she made the decision to enroll herself in the nail technology program with en Vogue. The program reinforced what Joanne already knew; this was the industry she wanted to be in. In 2005, after gaining invaluable experience and knowledge working in salons and entering competitions, the opportunity to work for en Vogue as an administrator presented itself and Joanne accepted it with anticipation and excitement. Since her start with en Vogue products, Joanne has become not only an award winning nail technician and named BE! Magazines Top 40! Nail Artists in North America, but the International Trainer for en Vogue Sculptured Nail Systems in Langley, BC Canada. Joanne thoroughly enjoys teaching and passing on her knowledge and it shows. Her spirited personality and dynamic energy provides an informative and entertaining education session. When she is not in the classroom, Joanne is either at a tradeshow where she demonstrates her creativity through her nail art or traveling worldwide extensively educating nail technicians on basic to advanced methods of gel applications. Joanne has dedicated almost a decade of her life to the company that started her on her way to become the nail technician she is today. 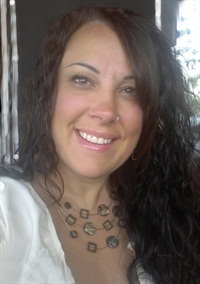 Her expertise combined with her energizing and personable demeanor is sure to impress! See her work on Instagram @envoguenails_byjo.